Jenny Penton eCourses are designed to inspire and teach women to become all they are created to be. Our Be Free eCourse includes our exclusive Girls Collection journals, individually tailored to accompany each eCourse – the journals alone have over a $135 value! 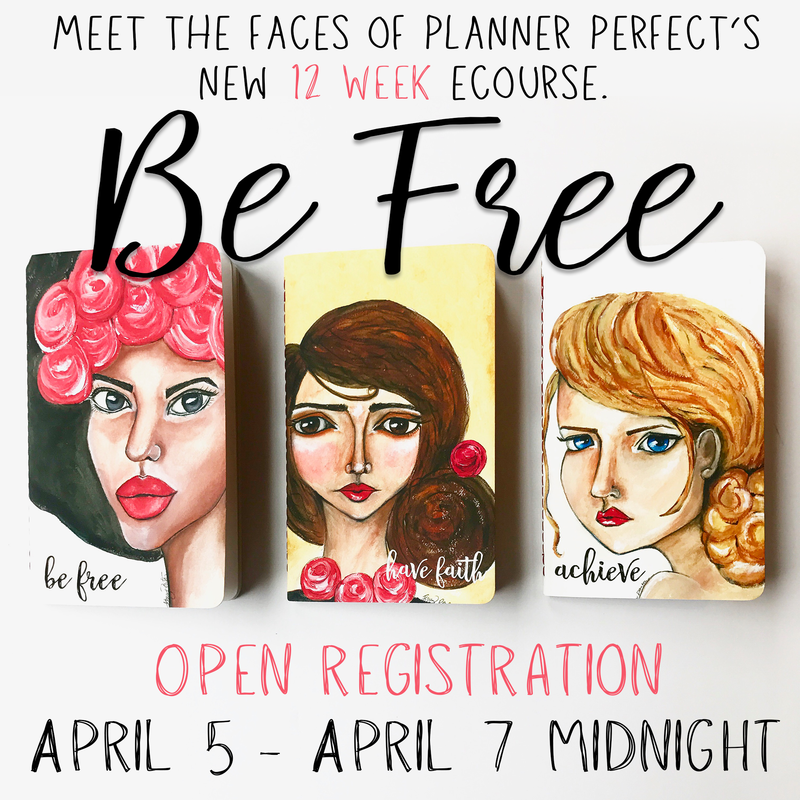 The Be Free eCourse is 12 week course that will teach you how to truly live your best life, free of old habits and negative ways of thinking, how to live by faith and speak your purpose, dreams and goals into being, and finally how to use Jenny’s Planner Perfect Method to joyfully plan and organize your life to achieve your heart’s desire. The course begins May 1st, 2017 to give us time to ship you your eCourse kit. 3 exclusive Girls Collection Personal Development journals, valued at over $45 each! Uncover stumbling blocks that are preventing you from reaching your potential. Taking a hard look at ourselves, changing the way we think and making positive changes in our lives creates change and sets us up to take on the next level. An absolute must for women looking to be called into their purpose and to be game changers in this world. Having faith is vital in order to step into our destiny. It’s time to allow God to move on our behalf and to stop trying to control our own lives. Find our the steps you can take to begin stepping out in faith now and be used by God in big ways. This is the fun part. Here we take all we’ve learned and put it into practical use. How to plan, set goals and mapping out a life you love; it will be our big finale in the Be Free course and it will allow us to move forward with a new confidence and skip in our step. Once our live Master Life eCourse is completed, starting in August 2017 you may purchase the Master eCourse or a one month course at any time to conduct on on your own. You’ll have all the tools and inspiration you need to live your best life! I’m heartsick that I didn’t get signed up for this. I didn’t think that I should spend the money. I should have. Does Jenny offer these courses very often? Hi Jenny! I am interested in doing this in the next round this fall! I am looking around and I don’t see how much it costs. I watched the video, and I see a couple spots mentioning what the journals etc are worth, but not a straight up cost for it. Please let me know, thank you! the links will take you there and hope you’ll be able to grab a sub box and if not, a workbook to work along with us! Artist and Founder of Planner Perfect, Plan Books and Method. I'm also a proud Mom to eight homeschooled children. I offer uniquely designed plan books, journals and planning accessories to inspire women to Write a Better Story for their lives as well as eCourses, video and stream live to inspire you to live your best life! I'm glad you're here! Purchase Planner Perfect's eBook on Amazon Kindle or Pdf download and find out how you can get a Fresh Idea on Organizing Your Life!